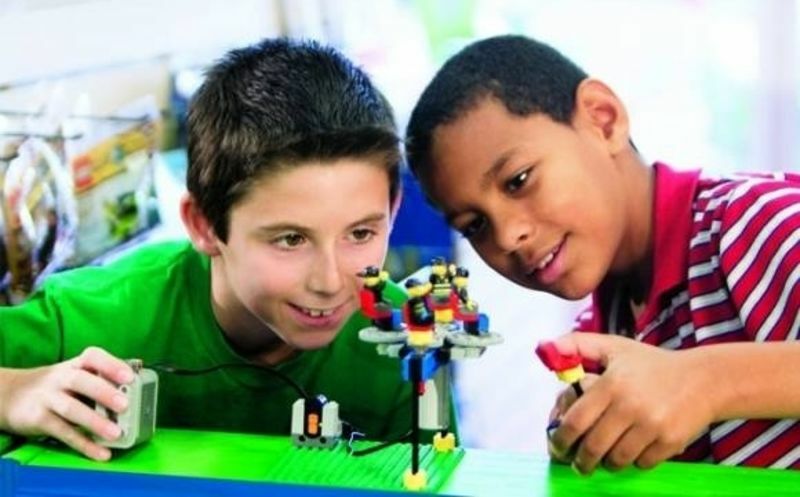 BRICKS 4 KIDZ® is a creative educational program that provides an extraordinary atmosphere for participants to build unique creations using LEGO® technic bricks, while themes such as Space, Invention, Transportation, etc. are explored. The activities are designed to trigger young children’s lively imaginations, creativities and build their self-confidence! Spring/Summer Camps! For kids, Bricks 4 Kids is a Lego program: they see is a chance to indulge their interest along with other kids who share it, and otherwise dive in to a lot of cool stuff. For parents and teachers, it’s a means of interesting kids in STEAM topics, and take part in summer, afterschool, weekend, and holiday programs that support and extend the school science, physics, and math curriculum. The programs are well conceived, expertly run, and informed by a thorough knowledge of the public school curricular expectations and outcomes. There’s a lot to love. The wealth of programs both through the summer and during the school year provide a consistent outlet that children can return to, and feel comfortable in, throughout the year. Choose location above to view sessions and fees. Bricks 4 Kidz Summer Camps will be held in Mississauga, Oakville, Milton and Burlington. Themes include: Transportation, Minecraft, Clash of Bricks, Amusement Park, Space Adventure, Jurassic Bricks Land, Galaxy Far Away and more. Both full day and half day camps are offered. Visit www.bricks4kidz.com/missoak for detailed information. First off wanted to say we attend your Summer camp every year and it’s amazing. Teachers are amazing. Program is amazing!!! I tell everyone about your program! Your camp is absolutely wonderful. I will tell everyone about it as much as I can. I would like to welcome you to BRICKS 4 KIDZ® Oakville / Mississauga / Milton / Burlington. BRICKS 4 KIDZ® is a creative learning program that provides an extraordinary atmosphere for children to build unique creations using LEGO® technic bricks, play games, and have loads of fun while being educated in various aspects. The activities are designed to trigger young children’s lively imaginations and build their self-confidence. We hope to have the opportunity to work with you and your family some time soon! Helen (Summer Camp – August 2018) – First off wanted to say we attend your Summer camp every year and it’s amazing. Teachers are amazing. Program is amazing!!! I tell everyone about your program! Dimitra (Summer Camp – August 2018) – My son attended the Summer camp and LOVED it….Thank you! Deborah (Summer Camp – July 2018) – Your camp is absolutely wonderful. I will tell everyone about it as much as I can. Deborah (Summer Camp 2017): Thanks so much... your camp is absolutely wonderful. The kids loved it. Amy (Summer Camp 2017): The kids were very happy. Thank you for keeping them engaged....it was a great experience for them! Asha (March Break Camp 2017) - I wanted to let you know how much my son enjoyed his March break camp at Bricks 4 Kidz. So much that he would like to come back and join the Summer camp as well. I didn't know what he would think, but he LOVES it. Thank you very much! Anna (Summer Camp 2015): "I wanted to write and let you know that our two boys LOVED the camp at U of T. Their love for Lego was further instilled and in some ways reinvigorated. I am very thankful for that!" Ms. Deirdre (Summer Camp – July, 2014) – Just wanted to give you some quick update on the feedback that I got from my son after the camp yesterday: “Today was the best day of my life”. He absolutely loves it. Follow step-by-step directions to complete a task. It is important not to rush through and miss a step. This is especially valuable for children with AD/HD and can help them develop the patience to follow step-by-step instructions in a classroom setting. Sequencing is an important skill in many learning processes and the motivational nature of this type of sequencing makes it fun for children,while the skill gained can easily translate to other environments. Fine motor skills are developed as children pick up and assemble the many small bricks, axles, gears and bushings. The spatial/relational thinking necessary to follow the project instructions taps into both the visual and kinesthetic learning styles of many children. Kinesthetic or tactile learners learn by doing. Also, playing with LEGO® bricks is highly motivating, so children are more likely to retain information that is delivered in the context of something that interests them. Organizational skills are developed by keeping the bricks in their proper place. This is another skill that translates into every area of life. At school, at home, or in the workplace, people are more efficient if they can quickly and easily access the materials they need to complete a task. Completing a model with LEGO® bricks nurtures process-oriented thinking and helps children develop abstract thought to envision the project before it is complete. Social/emotional skills such as patience, communication and teamwork are exercised in the process of completing a build. Working through frustration to complete a project builds self-esteem. Working with a partner fosters teamwork and cooperation. The children learn about simple machines and develop an appreciation of how various structures are put together. As we move towards a more knowledge-based and technology-focused economy, there is an ever-increasing need to foster engineering and technological literacy in children at a younger age. Children are natural engineers. They are fascinated with building and taking things apart. It is this hands-on learing and thinking that enable children to understand the world around them and how things work. By stimulating and nurturing creative and innovative thinking in young children, we can build a new generation of engineers, entrepreneurs and leaders! 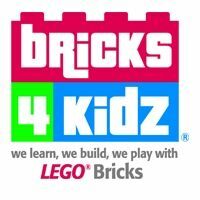 Interested in Bricks 4 Kidz - Mississauga - Oakville - Milton - Burlington?